I participate in several of the SEs. I use different aliases for each one, but I notice that regardless, people can look at my profile on all of them once they access my profile on one of them. On some of the technical ones, I would like to use my real name on some of the technical SEs, but at the same time, I would like to keep my real identity hidden on the philosophy SE, where I occasionally discuss my views on religion and I'm not comfortable with those being made public, given my family background. Is there a way of hiding that particular SE from my network profile? How do I hide a community from my network profile? 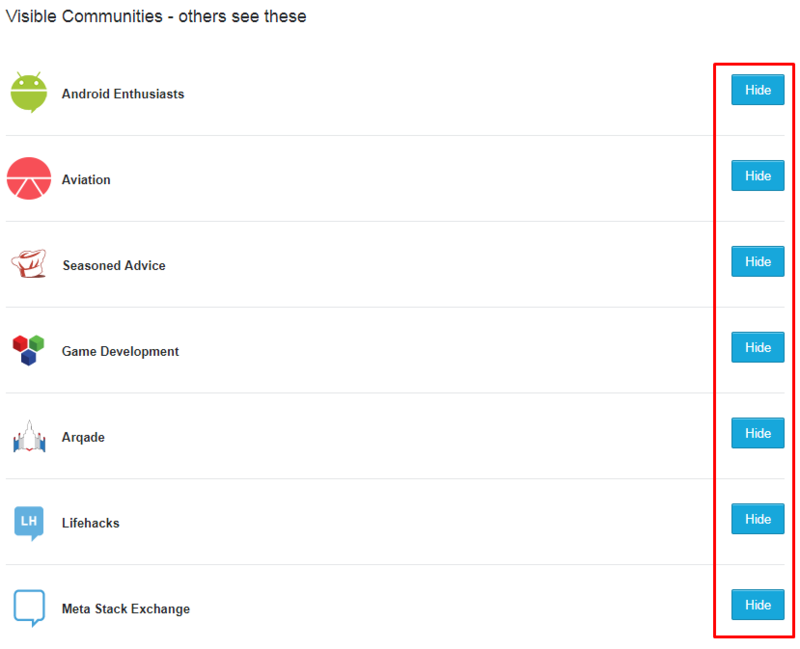 The communities are hidden from the network profile, but posts from those hidden communities still show up in the top network questions and top network answers section in the network profile. 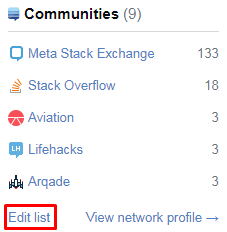 In your profile page, where it shows your communities list, press: "Edit List", then, select the sites that you don't want to appear on your profile. I couldn't find a way to hide your other accounts from your top questions and answers tab, but there is a way to hide your network profile. Go to the visible communities, then hide the site you are currently on. For example, if you're on Stack Overflow, and you hide Stack Overflow in your communities, the users that go on your Stack Overflow profile will not be able to go to your network profile. Look at the images for more details. Not the answer you're looking for? Browse other questions tagged support profile-page network-profile hidden-communities . How do I hide my accounts on a specific Stack Exchange site?